You’ve likely heard the term “emotional support animal” (ESA), even if you haven’t looked into getting one yourself. The phrase has made headlines recently as airlines start to cut back on allowances for emotional support animals on planes, and as problems with abuse of the ESA system come to light. But emotional support animals, whether they're dogs, cats, or less common species, aren’t really so controversial. In fact, they offer innumerable benefits to those who need them, and can provide individuals with the companionship and support they need to improve their quality of life. If you’re a pet parent yourself, you know that the bond between a person and their animal is a powerful one, and that animals have a unique way of calming and healing their people in tough times. For some people, their pet provides stability and companionship in light of a serious mental disorder, such as depression, anxiety, personality disorders, and identity disorders. In those scenarios, it can be beneficial to have the pet qualified as an emotional support animal, which affords them a few more rights than your typical pets. To understand what an emotional support animal is, you first have to understand what it is not. An emotional support animal is not a service animal, meaning that it is not trained to do a specific task or job. Because of this, it does not have the same legal allowances that a service animal does, such as being allowed in all pet-free environments. An emotional support animal is also not a therapy animal, which is an animal who is specifically trained to provide emotional and/or psychological support to people in need. Generally, therapy animals go into hospitals, schools, and nursing homes, and other places of care. They are also used to help people in the aftermath of a traumatic event. 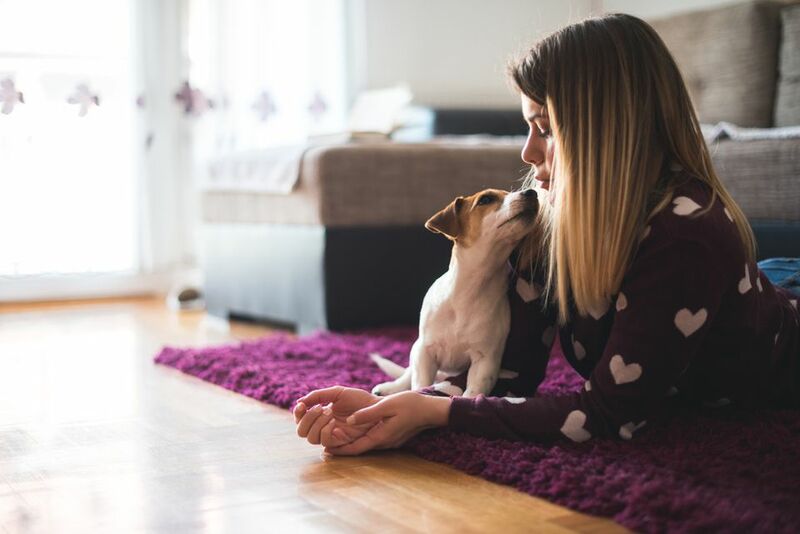 Instead of performing a specific, trained task, an emotional support animal provides their human with a strong and comforting emotional connection. And because they aren’t doing a "job" similar to a service or therapy animal, they have less legal accommodations. The Americans With Disabilities Act (ADA) allows for a wide range of rights for service animals because they are necessary for the physical and/or mental abilities of their handlers, and because they receive consistent, professional training. Because ESAs do not have to be professionally trained to provide their humans with support, they do not have the same rights under the ADA. The law does, however, protect an individual’s right to have an emotional support animal. And some laws extend those rights into public spaces. For example, under the Fair Housing Amendment Act (FHAA) those with ESAs are entitled to keep their animal with them in their housing unit. And the Air Carrier Access Act (ACAA) allows individuals to bring their ESA with them during air travel, even if the animal does not fit in a carrier under the seat. While these protections are in place for ESAs, there are limitations as a result of a lack of support under the ADA. Some landlords may have strict no-pet policies and will not make exceptions for emotional support animals. And some airlines allow only dog or cat ESAs, and not other types of emotional support animals. In order to have your pet recognized as an emotional support animal under the law, you must have a letter from your mental health care provider stating your “prescription” for an ESA. Providers may prescribe an ESA for a variety of disorders, including depression, anxiety, learning disabilities, ADD/ADHD, cognitive disorders, and more. If you have a qualifying letter but are still being denied the right to have your ESA in your housing unit, submit a written request to your landlord and include a copy of your letter. If that doesn’t work, you can choose to file a complaint with the U.S. Department of Housing. If you think that an emotional support animal would be beneficial for your health, talk to your mental health provider. An ESA can be an animal that you already share your life with, or you could go out and adopt. ESAs do not have to be professionally trained, but should still have basic obedience and manners so they can behave in public spaces. There are no restrictions on the species of animal who can qualify as an ESA, so if you’re not ready for a dog or a cat, consider an emotional support rabbit, bird, lizard, or other type of animal.